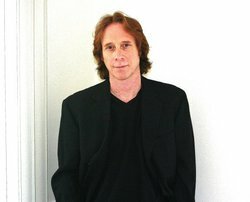 Bill Mumy is an American actor, musician, pitchman, instrumentalist, voice-over artist and a figure in the science-fiction community. He is known primarily for his work as a child television actor. The red-headed Mumy came to prominence in the 1960s as a child actor, most notably as Will Robinson, the youngest of the three children of Prof. John and Dr. Maureen Robinson (played by Guy Williams and June Lockhart respectively) and friend of the nefarious and pompous Dr. Zachary Smith (played by Jonathan Harris), in the 1960s CBS sci-fi television series Lost in Space. He later appeared as a lonely teenager, Sterling North, in the 1969 Disney film, Rascal, and as Teft in the 1971 film Bless the Beasts and Children. In the 1990s, he had the role of Lennier in the syndicated sci-fi TV series Babylon 5, and he also served as narrator of A&E Network's Emmy Award-winning series, Biography. He is also notable for his musical career, as a solo artist and as half of the duo Barnes & Barnes.